Dark Motif today updated that the production of their title Adam Syndrome's first episode is well underway and advancing steadily. Please visit the Developer's Diary for a more detailed update and for another set of work-in-progress screenshots from the game. Dark Motif today announced production of the first episode of their title Adam Syndrome. A fully-playable internal version is already in existence while the production of 3D art is well underway. Please visit the Developer's Diary for a more detailed update on the studio's status and for first-time, work-in-progress screenshots from the game. Dark Motif today announced that the pre-production phase of their title Adam Syndrome has reached completion and that the studio is now actively searching for a backing publisher. Please visit the Developer's Diary for a more detailed update on the studio's status and for a previously-unreleased video of an older internal tech demo. Dark Motif today launched their newly re-designed website in anticipation of the upcoming completion of Adam Syndrome's pre-production phase. Dark Motif today announced that they have started providing Unity development services to third party studios in addition to working on their own title Adam Syndrome. Please visit the Services section for more details and tech demos, and also the Developer's Diary for new details on the status of Adam Syndrome and the studio in general. Dark Motif today announced that Adam Syndrome has been pushed back again. Details on the exciting turn of events that brought up this delay will become available in a few months' time, along with a new release date. Dark Motif today announced that Adam Syndrome has been postponed. Be sure to visit the new Developer's Diary for further details and extra behind-the-scenes information on this development. Dark Motif today updated their website with a new Developer's Diary (that also includes two new screenshots) and a slight facelift. Dark Motif today announced production of their title Adam Syndrome. Be sure to visit the Games section for the latest details about the game. Dark Motif today launched their brand new website. Watch this spot in the future for periodic updates and news about the studio and their projects. Adam Syndrome is an original adventure game based on a dark mystery of novel-like size and depth. As the plot unfolds, the player will take control of Professor Adam Reed on his quest for answers following a strange chain of occurrences that ends with the sudden and mysterious death of his wife. 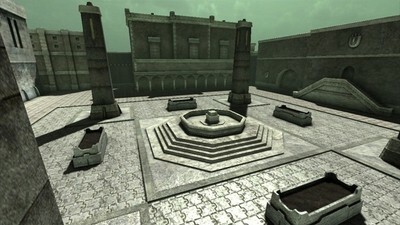 During the course of the game, the player will guide Adam through more than fifteen unique locations all over the world; locations that include ancient lost cities, futuristic laboratories, underwater complexes, gloomy old cemeteries, and many other fascinating places, as the character is plunged into an intricate web of conspiracy and secrets dating back to the very beginnings of mankind. Blending real-life historical facts along with provocative fiction, Adam Syndrome brings storytelling back into the focus of gaming in a contemporary tale of survival, extinction, and the choice that lies between. 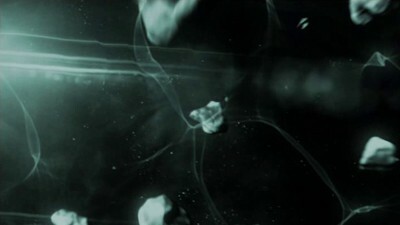 Backed by cinematic techniques, Adam Syndrome utilizes detailed, high-resolution locations along with real-time special effects and a moody and suspenseful original soundtrack, to create a dark, immersive atmosphere that provides the perfect feeling for the game. Adam Syndrome makes use of the very powerful and extremely popular Unity Engine, taking full advantage of its many advanced features such as dynamic lighting and shadows, particle systems, physics, and a multitude of visual effects - all of which play a major role in the creation of the game's believable world. In a desperate attempt to discover what happened to his beloved wife, Professor Adam Reed becomes entangled in a web of conspiracy that threatens to tear apart the tapestry of his own life. Through a shocking series of revelations, Adam learns that he has unwittingly been playing a major role in a dark and mysterious conspiracy. By following a 400 year old trail left behind by John Dee, the 16th-century occultist and famous advisor to Queen Elizabeth I, he unearths secrets of the biblical giants known as the Nephilim and the ancient myth of the Great Flood, and finds himself facing powerful adversaries - the members of a strange and elusive society - as he uncovers a malevolent plot. With time running out, Adam must stop these men from wreaking monumental catastrophe by unveiling a secret buried thousands of years ago by blood and by time itself - a shocking truth that will shake the very foundations of humanity. If you are having trouble watching this video online, you can also download the entire video file and watch it locally. How time flies... We have been so busy lately that we haven't even noticed that a whole year has just gone by since our last update. So what have we been up to during all this time? Well, let's see, it was work, work and then some more work, but, fortunately enough, being freelancers is continuing to work pretty well for us. We get to make our own choices as to which and how many projects we take, and we always make sure to leave enough room for Adam Syndrome as well. It does mean we work quite a lot but we enjoy our projects very much - both the paying ones and, of course, our own Adam Syndrome. In the paying projects department, we have been working, among other things, on a very interesting project for Intel (yes, Intel!). We used raw face-tracking data arriving from Intel's own RealSense 3D camera to animate the movements and facial expressions of 3D characters in Unity. We combined blend shapes with Mecanim animations to achieve some pretty impressing results, which made this specific client very happy. :) Another project we did for another client was actually a whole series of location-based mobile games for kids in which the whole family, and especially the kids, became special agents tracking down historical events, using GPS to move from one location to the next and solving puzzles at each location. We used Unity to create these 2D games and it was a great experience and fun for us to work on this project. We have also spent some time working on another Unity project for The Coca-Cola Company, which, unfortunately, got cancelled later on for reasons having nothing to do with us. screenshots from the first episode of Adam Syndrome. They are definitely not final but they do feature many of the more-or-less final models, shaders and textures. The lighting in these scenes is real-time, at the moment, as we still haven't had the time to bake the lightmaps and introduce light probes. Those are still in the pipeline and will be added later on. In addition, these scenes are still almost devoid of any kind of animation as well, as these, too, are still awaiting their turn. The alley scene, for instance, is going to be in full rain, and will feature, among other things, wet surfaces, ripples and splashes - of which only the wet surfaces and some ripples are currently evident - so keep in mind that these scenes are going to look much better once all effects are blended in. But despite their early stage, we still hope you will like them and we will be happy to hear what you have to say about them. We are posting the images on our Facebook page as well so please head over there and post your comments and insights. And while there, please make sure to follow our page by clicking the "Like" button, if you haven't done so already, as this will ensure you get our future updates as soon as we post them. Thank you very much for reading this update and see you all on the next one. Well, it's been a while since the last entry and a lot has happened during this period. As some of you may have probably guessed by now, finding a publisher to back the development of Adam Syndrome has been a doomed cause to begin with that was destined to fail and that ultimately did. It was simply too late for this sort of thing to work as the publisher route was all but gone by that time. This was simply not how you got an adventure game funded anymore. And as we had already ruled crowdfunding out, for reasons already explained in the previous entry, we saw no choice but to take a deep breath and to go for the self-funding model. Of course we could not hope to fund the production of the entire game ourselves, given its hefty overall size, but we could, however, fund the production of the first episode, which was much smaller. As you may have noticed by now, we are not the kind of people to give up easily. :) We felt that if that's the reality of independent game development these days then so be it. So we quit our regular jobs and opened up shop as software and game developers for hire. In other words – we became freelancers. Although it still meant that work on our game would have to be done only in between other jobs, this step has made it a lot easier for us to coordinate our day job tasks along with tasks belonging to our game. Becoming freelancers turned out really great for us as it allowed us to get the best of both worlds – enjoy our day job projects, which we usually tend to like very much, and also be able to work on our own game – all at the same time. two work-in-progress screenshots from Adam Syndrome. Although they are not quite finished yet, we are very proud to call them our own as they were made entirely in-house. These in-game screenshots, by the way, make use of Unity 4.5's Beast-generated lightmaps, but as the upcoming Unity 5 will be shipping with a radically-different lighting system, we are planning to redo the lighting in both scenes from scratch to take advantage of Unity 5's new Global Illumination system. Adam Syndrome's first episode. This version lacks graphics, of course, as all graphic assets are still in the making, but the entire gameplay is there and it's fully playable from beginning to end! Game mechanics such as the point and click mechanism, inventory, conversation interface and close-ups, have all been implemented as well and so have all the supporting mechanisms such as the main menu, the options screen and the save and load screens. None of it is very pretty to look at, at the moment, that's for sure, as it's made entirely of plain cubes instead of actual 3D assets, but it does work perfectly, which is no small feat at all! This early version of the game makes use of a great Unity package called Adventure Creator, which we chose to adopt in order to speed up the development process and which provided us with the basic adventure game mechanics we required. In addition, we also wrote a ton of code ourselves to customize everything to our needs and to add further mechanisms that we needed and that were not part of the package. As a matter of fact, many developers out there may want to take notice that the Adventure Creator package is actually powerful enough to make an entire adventure game from beginning to end without writing a single line of code. It's just that in our case, we wanted everything to be exactly the way we envisioned it, which meant, of course, writing lots and lots of extra code on top and beside Adventure Creator. That's it for now. Stay tuned and never lose faith. If we're still developing this game even after all this time, then everything, and I mean EVERYTHING, is possible! Also, please follow us on Facebook, either by clicking the "Like" button at the top of this page or by heading to our Facebook page and clicking the "Like" button over there. Thanks and see you all on the next entry. It's been only a few months since our last entry and here is another one bearing some good news. As mentioned before, among the many other things that have kept us busy lately, we have also managed to squeeze some time to work on the pre-production of Adam Syndrome as well, and I'm happy to say that the design document of the game is now complete and ready for production. This means, of course, that the pre-production phase has reached completion and that we are at last ready to push Adam Syndrome forward. All we need now in order to finally go to full production is a good publishing house to take us in and back us up. It's nothing easy to come by these days but we are committed to our goal and we will do our best to find one. for a successful campaign at the moment. We make a point of backing other adventure game projects for now and hope to one day be able to use this platform ourselves. vertical slice and features many of the game's technological aspects. This specific tech demo was implemented using our previous game engine (Wintermute) and not the current one (Unity), and it features 2.5D technology, a 3D actor with animations, dynamic actor lighting and shadows, background animations, particle effects, various weather effects, voice acting, artistic look and feel, sound effects and general atmosphere. You can watch the video by clicking the image to the left or, if you are having trouble watching it online, you can also download the entire video file and watch it locally. Last thing, don't forget to take a look at the Services section as well for some of our more recent tech demos. Go ahead now, check out the video and let us know if you liked it or not. And speaking of like, you can also Like our Facebook page (by clicking the "Like" button at the top of this page) to receive all our updates as soon as we post them. See you all on the next entry. Well, quite some time has passed since our last update and although we have kept fairly quiet during this period, we have, nonetheless, been working all this time on the pre-production of Adam Syndrome. We did make a small detour, however, and I would like to explain it here. As it happened, we were reworking the Adam Syndrome story about a couple of years ago in order to make some necessary improvements to the plot, when all of a sudden we realized that our good old story had become a full-length novel of approximately 450 pages! And even better; as the game has always been on our minds while working on the story, all 450 pages still fit perfectly into the 140 scenes or so that we had in the game design. Which meant, of course, that we could still produce the story as a game without expanding the game any further. But more to the point, since we found ourselves with a real novel on our hands, we thought it would be quite a waste not to explore this vein as well. So we showed a preliminary draft to a number of industry professionals in the field of book publishing and, to our delight, they really liked it and insisted that we should write our final draft of the novel and then go ahead and approach publishers with it. of this time, but we have also managed to squeeze some time to work on the pre-production of the game as well, and to almost complete the relatively hefty design document. You see, regardless of our wish to publish Adam Syndrome as a novel, the sole purpose of the story has always been to be the game's backbone, and nothing has changed in that regard. But the inevitable downside is that as a result of our detour, the everlasting necessity to still hold our day jobs, and one more reason I will mention shortly, the release date will have to be moved once again. We realize that all these delays never look very good, but according to various tests we ran with numerous experts, we are now more confident than ever that we have a winner on our hands and we really believe that it will be worth the wait. to finish its development cycle. As a result we were forced to move away from that engine and choose another instead. After weighing the various options, we decided to go with the very powerful and extremely popular Unity Engine. We have been studying and working with it for a few months now and are very happy to say that the switch has been successful and we are now fully capable of producing the full game with it, taking advantage of all the bells and whistles that come with it and that publishers demand so much nowadays. In addition, we have also started providing Unity development services to other studios looking to outsource their Unity-related work. You can take a look at the Services section to get a glimpse of what we can do with Unity. One last issue, we have had some problems with our mail servers and possibly lost some emails along the way. So if anyone has sent us emails and got no response from us, please accept our apology and re-send your emails. We are doing our best to respond to each and every one of the emails we get. That's it then, that's our update for this time. Be patient with us and don't lose faith. We certainly haven't lost ours. It's been a year since we first announced development of our first title Adam Syndrome on July 28, 2007, and although the game isn't here yet, a lot has happened during this passing year that has helped us evolve and have a considerably better view of the future of Adam Syndrome. Before the July 2007 announcement our plan had always been to produce the game on our own and then go for self-publishing. Funding production on our own meant, of course, that our budget couldn't possibly be very high but we were confident on our ability to produce a great game even on a modest budget. moment it dawned on us that we needed to rethink our whole strategy as we realized that we actually had an opportunity to go for a real full-scale professional production instead of the modest production we previously had in mind. After quite a few sleepless nights trying to figure out what to do next, we decided to change course and aim instead for a larger game with significantly higher production values compared to our original plan. We quickly hired an art studio, started working on a small tech demo for publishers and then moved on to complete all further aspects of the game that suddenly were in desperate need of adaptation in order to conform to our new view of Adam Syndrome. experience creating game environments and special effects – things that will no doubt have a huge impact on our final product. taken from a couple of our internal tech demos, so that everyone will be able to get a glimpse of things to come. And last thing, we also gave our website a slight facelift to better fit the tone of the Dark Motif production studio and to better fit modern viewing resolutions. That's it for now then. Enjoy these two new screenshots and see you all on the next entry. Apart from creating games in-house, Dark Motif also provides Unity development services to third party studios looking to outsource Unity-related work. Depending on our client's needs, we take care of any part of game production, be it the implementation of entire games, specific scenes, or even small specially-tailored scripts. We offer over 15 years of software design and development experience (working with C++/C#), we offer the talent of our very experienced artists and we offer our extensive background in filmmaking – all of which play a major part in the quality of our work. In order to demonstrate our skill and experience working with Unity, we chose an arbitrary scene from Unity's own "3rd Person Shooter" demo and re-imagined it in several different flavors, infusing it with our own artistic style and technical expertise. The image to the right shows the original scene, while the live demos below it offer various glimpses into our own imagination and our ability to put our visions into practice with Unity. You can compare between the two to get at least an idea of what we can do with Unity for any game or scene. In addition, the "Snowy Winter" live demo is included in this set to demonstrate our skill in designing and implementing 3D main menu systems as well as 2D GUI programming in general. Please contact us so that we can discuss the various ways we can assist you with your projects. All these demos demonstrate high-end game scenes. Because of that, they all require a matching higher-end hardware than the usual fare to be able to view them the way we intended. That said, we were definitely not aiming for the absolutely newest gaming hardware available, but rather something more in the middle. We tested all demos on a Core 2 Duo rig running at 3.00GHz with 4GB RAM and used an NVIDIA GeForce 9800 GTX+ GPU with 1GB and alternately an ATI Radeon HD 4850 GPU with 1GB as well. In both cases all demos ran ok. Dark Motif is a young, independent game development studio dedicated to creating original adventure games based on complex stories, rich in atmosphere and strong in characters. Founded in 2005, the studio is composed of a core team of professionals in fields like Film, Art, Animation, and Software Development, that have had a great affinity to the adventure game genre ever since its early years. Dark Motif also works closely with independent contractors in order to cover all aspects of game creation in such a way that keeps the studio as flexible as possible. Our primary goal is simply to make games to remember. To create rich experiences that will leave a lasting impression on the player. Dark Motif's goal is to innovate where innovation is most needed; by delivering highly-polished products, heavily based on immersive storytelling and atmosphere, on strong characters and on excellent writing. Currently we are hard at work on the title Adam Syndrome - an original, classic-style adventure game in real-time 3D. Daniel is Dark Motif's co-founder and chief executive officer. He is a veteran software designer and developer with over 15 years of experience in creating software and managing diverse projects and development teams. Daniel has also been an avid adventure gamer ever since playing Transylvania on his old Apple IIc back in 1985. He went through all the Sierra and LucasArts years, and he still tries to find the time to play even today. Daniel's responsibilities as part of the Dark Motif studio include writing, game design, production, programming and studio management. Daniel has been backing prominent adventure games on Kickstarter for over two years now, out of his passion for the adventure game genre and his desire to help other struggling studios. Daniel holds a B.A. in Computer Science. Amit is Dark Motif's co-founder and chief creative officer. He is a longtime artist and animator, having previously worked in television as part of an art studio, which he co-founded and co-owned, and specialized in classical animation. Prior to that, Amit also filmed, directed and edited documentaries and worked as a freelance film photographer and editor. Amit has also been playing adventure games ever since their early days, with Sierra's adventure lineup during the mid-eighties being his introduction to the genre, and the original King's Quest – his very first. Amit's responsibilities as part of the Dark Motif studio include writing, art direction, 3D art, lighting, sound, animation and cutscenes. Amit holds a B.A. in Film and Television. Message failed. Please try sending an email to info@darkmotif.com instead. You can also email us directly using the appropriate address below. Copyright © DARK MOTIF. All rights reserved.